Learn how to beat Spewart in Super Mario Odyssey. This guide provides a few strategies that you can use to defeat him during the first battle. 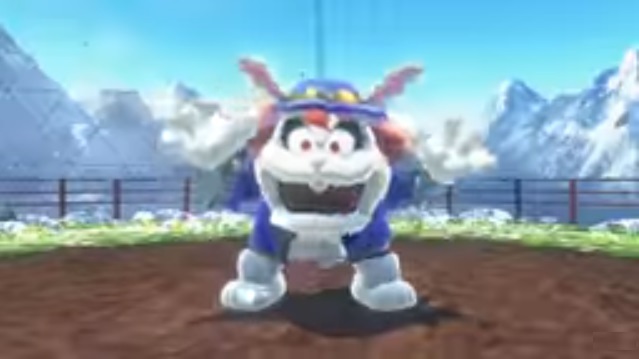 Spewart appears as one of the Broodal bosses of Super Mario Odyssey. Unlike the other Broodals, he is rather stocky and likes using poison as a means to attack. He looks similar to a bunny with a sort of Mad Hatter feel to him. When Spewart shoots poison from his mouth, Mario must dodge before getting close. Once he stops shooting poison, use Cappy to knock off his hat and make him vulnerable. He’ll stagger for a bit, allowing Mario to jump on his head. After jumping on his head, the boss will break into a frenzy while covering his body in poison. He’ll jump up into the air before flying in a saucer-like fashion to spread the poison all around. While the boss is flying around, Mario can throw Cappy to change the boss’ direction. 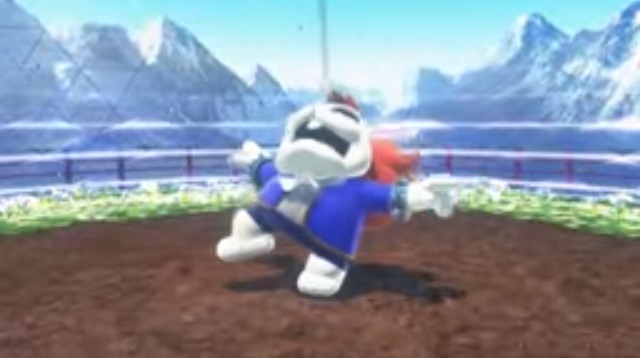 Mario can also use Cappy to clean up the poison, giving him more room to move around. This is especially useful when coming in for the kill when he covers the soil with poison. Throw Cappy forward to clear a path and then throw it again to knock off his hat. After that, stomp on his head and then loot up the coins. After hitting the boss three times, he will fall down in defeat.